Blue Amnesia XXL Auto by Dinafem Seeds is an excellent, autoflowering marijuana strain that will allow you to enjoy optimum results. Offering exceptional performance, long lasting powerful effects and fast flowering, these auto-feminised weed seeds flower within 75 to 80 days, respond well to indoor and outdoor cultivation, and are capable of producing yields of up to 450g/m2 when grown indoors. Growing up to 1.30m, these autoflowering plants are perfect for growing indoors or where there's limited space available. 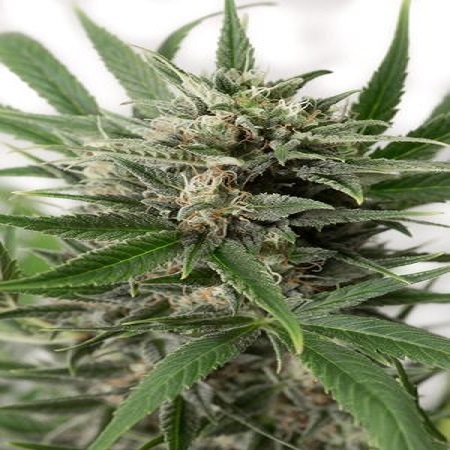 It's perhaps not suprising that these autoflowering weed seeds are considered to be one of the best autoflowering cannabis seeds ever to be created by the Dinafem Seeds team. This 3rd generation hybrid brings together th best traits of a Sativa with all the advantages that come hand in hand with Indica strains. Please note, this strain is not suitable for those who aren't used to consuming extremly potent marijuana strains! At Sensible Seeds, we supply over 3000 different cannabis strains including Blue Amnesia XXL Auto by Dinafem Seeds. Our friendly and helpful team is always on hand to answer any of your questions about our weed seed banks – get in touch!